Doctors, it is past time you start acting like independent contractors, freelancers, and entrepreneurs. You run a business. You are self-employed, and all that entails. One of the implications of that is you have to make marketing a part of your business. Gone are the days where you could get customers simply by hanging a sign on your door. More than ever, you have to compete with other doctors for the attention and business of perspective clients. It takes effort, money, and business savvy. It also requires a bit of technical prowess they likely didn’t teach you in med school. If your website has not kept up with the times, you are about to start getting penalized for that lack of technical prowess. If you thought good patients were hard to attract before, just wait. It is about to get a whole lot harder. Violators of Google’s SEO rules will be considered less relevant, and thus, fall in the search results rankings. 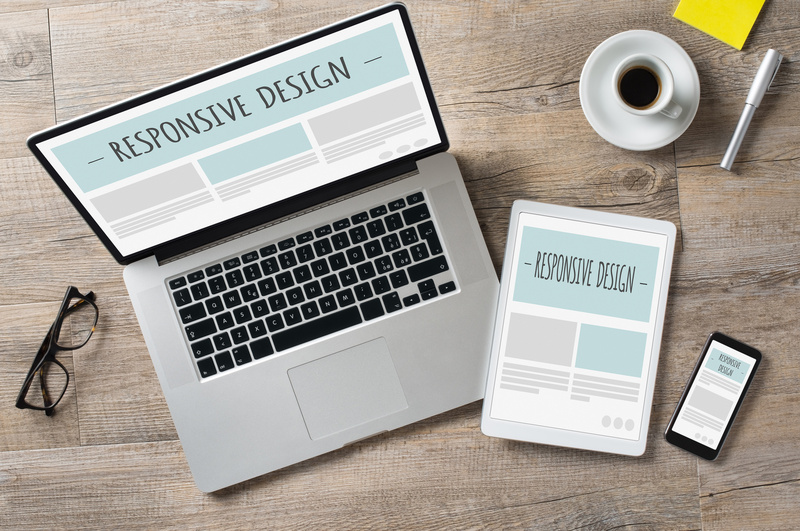 The key to a mobile responsive site is responsive wed design (RWD). Basically, it is a site that reflows and resizes text and other elements so that the site looks nice and responds well on smartphones just as they do on traditional computers. This can be a highly technical subject. As a doctor, you don’t need to know all the specifics of how it is done. Your web designer will know that. You need to understand why it matters. On a mobile device, search is an entirely different beast. So as you prepare your site for mobile, you also have to adjust your concept of search. On a desktop, it is easy to type long search strings into a large text box, then scroll through dozens of results to find what you want. This isn’t true on mobile. People will naturally type shorter search strings because typing on mobile is a lot more difficult and time-consuming. Scrolling dozens of results is also less likely because scrolling is a lot more labor-intensive. The mobile searcher is also much more likely to be on the move while conducting the search. They do not have the luxury of sitting down and carefully sifting options. They will make a quicker decision based on less information and are more likely to be operating under time constraints. If they are out and about and decide they needed to look up a doctor, you had better be near the top of the page. There are two ways to achieve this: through pay-per-click (PPC) and local optimization. PPC is the most straight-forward way to buy yourself to the top of the page. You are not improving your search ranking, but rather, simply buying an ad that appears somewhere near the top of the page in the local results. Local SEO is a way to improve your rankings in your local market. Doctors will benefit from local SEO specialists that focus on the medical profession. As a doctor, your site shouldn’t be particularly ad-heavy. That said, mobile-unfriendly ads will cause your site to be penalized. The challenge is determining what qualifies as a mobile-friendly ad. Pop-ups have been around for a very long time (long enough that we have pop-up blockers). And those pop-up blockers are a staple of every web browser on the market. Google is going beyond the pop-up blocker. They have declared most kinds of pop-ups user unfriendly. On mobile, a pop-up ad feels user hostile, if not downright deceptive. Not only is your content completely blocked and the experience hijacked, the only way to get out of the ad us usually to tap a tiny [x] that is far smaller than a reasonable touch-target size. It is far more likely the ad will be activated. And the user is redirected to a new webpage, or even app, while desperately trying to dismiss the ad. Google can’t end the practice altogether. But they are doing what they can by penalizing those who continue to do it. Google describes a “mobile-friendly” ad as one that only covers a reasonable amount of the screen. While you can find pictorial examples of this, as of now, it is still somewhat unclear what a reasonable amount of screen is. Ultimately, the take-away is to avoid user-hostile ads. You should easily rise above those who don’t. Part of making a site more mobile responsive is making it more performant. Slow mobile sites will also be penalized in relevance rankings. By focusing on site speed, Google is also forcing site masters to trim the fat and make their sites more useful. It is easy to forget that not everyone has the latest and greatest tech for handling bloat. As a doctor and business person, you have to craft a message that sets your business apart. But that message has to fit into the 4.7″ lifestyle of your potential clients. You have to figure out what sets you apart. Then present that unique selling proposition (USP), within the constraints of a smartphone. One way to be sure your message is right for mobile is to redesign your site to be mobile-first. Until now, websites were designed on desktops for desktops. Only after the fact are they mobilized. While sites are still designed on the desktop, they should be conceptualized with mobile in mind. They can be scaled up from there. Companies like Apple, Google, and WebOS have done a lot of work to show how smartphone apps can scale up. That ends up with a better enduser experience than taking a large app and trying to scale it down. RWD is the latest effort to try and scale down a desktop site to smartphone size. It is a good idea that works well. As the business of medicine changes, doctors have to change with the times by preparing for mobile search and providing mobile responsive sites that offer user-friendly ads, high-performance, and a message designed with the mobile lifestyle in mind.